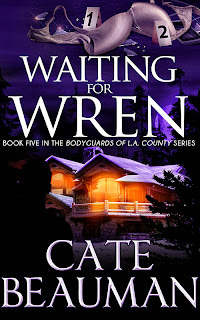 Congratulations to Janet B., Brooke and Maureen C., the winners in Cate's giveaway. Thank you to all who participated! As I have discussed with previous book launches, music plays a huge part in my writing process. I typically listen to Pandora or YouTube and compile a collection of songs that I feel represent my characters or the situations they face as the novel unfolds. Here are a few of the songs that I had on “repeat” while I created Tucker and Wren’s story! She pulled in her drive, dropped her phone, and gripped the wheel with trembling hands as heat from the vents rushed over her. She stared at her darkened front steps in the shadows cast about from the neighbors’ tall trees. What if he was here? His texts weren’t threatening, and technically neither were the flowers, but Rex wasn’t healthy. In the two years she’d owned her home, she’d never been terrified to get out of her car and go inside like she was now. This is what he wants. He wants you to be afraid while he plays his games. Steeling herself, she grabbed her phone and got out with her key fob clutched in her unsteady hand. The cool rush of wind tossed her hair in her face, and she swiped wavy locks behind her ear as she strained to hear over the rustling leaves. She walked quickly, her eyes darting everywhere. “Do you like it?” someone whispered. She whirled, scanning, searching for Rex. He was here, somewhere. He had to be. “Leave me alone!” She hung up, gasping for air. Tears poured down her cheeks, and her hand shook as she opened her door, took her seat, and locked herself in. She had to get out of here. She had to get away. It took her two tries to shove the key in the ignition as she glanced at the bloodstained step once more and backed out with a squeal of tires. She sped off, heading toward Ethan’s until she remembered he was gone and a quarter of his house had been gutted for the new edition. All of them were gone—Ethan, Hunter, and Austin. She pressed ‘one’ on her speed dial, listening to the repetitive ringing. Ethan’s smooth voice told her to leave a message, but she hung up instead. She turned down another street, taking her farther from her home, and punched in Ethan Cooke Security’s twenty-four hour assistance line. Did you enjoy the excerpt? 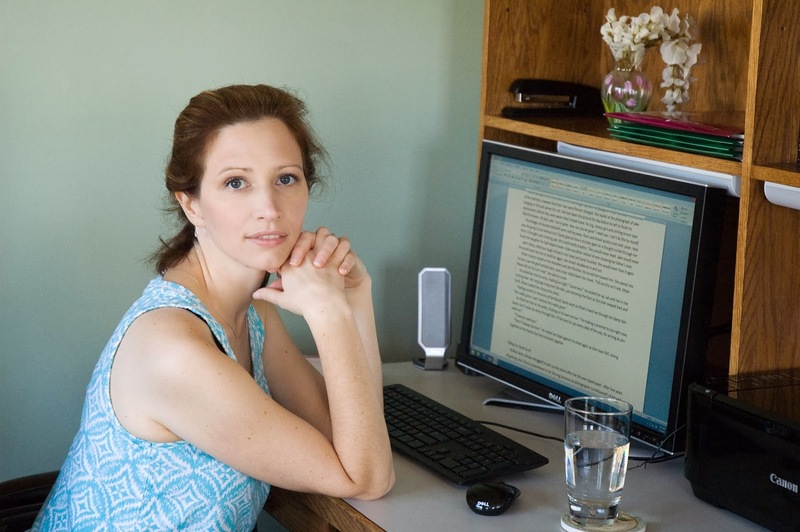 You can read the first three chapters on my website, www.catebeauman.com. 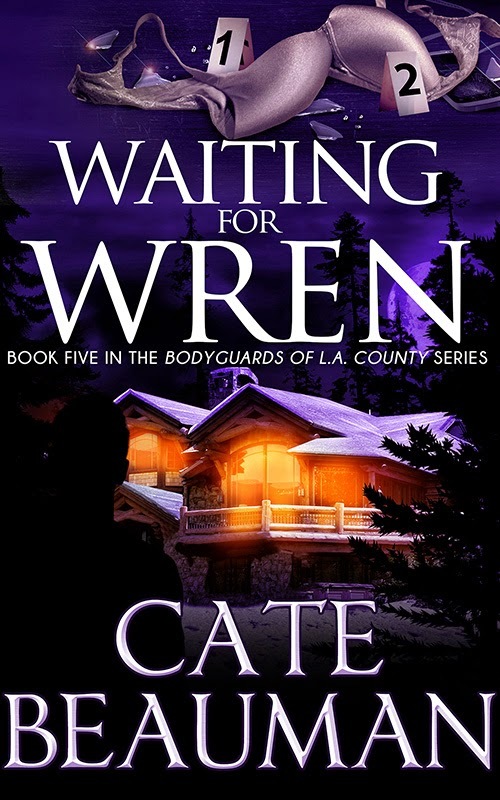 Cate will be giving away 3 digital copies of WAITING FOR WREN to 3 people leaving comments or an email entry. Congratulations to Cate on her new book! It looks like an exciting story with characters who have had some difficult times. Nice looking soundtrack... not familiar with a few... need to look them up! Great excerpt... thanks for sharing! This sounds like a good book. Thanks for the giveaway! I recently discovered Morgan's Hunter and loved it! Can't wait to read the rest of the series! Thanks for the giveaway! What a great excerpt...definitely got my heart pounding! Thank you for the chance to win. All of these books look amazing. I have the highest respect for Special Ed teachers. Way to go. 12 years is fabulous. This book sounds yummy. Would love to try Cate's writing. I've got the first 2 of this series on my kindle, I've got to get them read!! I know this series is going to be great. I do love romantic suspense. Thanks for the chance to win. Stalkers, to me, are scary... it isn't a random killer, it is personal. And, as your excerpt shows it is psychological. Your book sounds great, thsnk you for stopping in and introducing your series. I look forward to reading your books. I would love to win, thank you for the chance. Romantic Suspense is my favorite genre...lsscarchuk@att.net. Congratulations on your new book! It is fun that you are writing a series.